Dean of the School of Engineering and Applied Science Mary Boyce became the school’s first female dean in 2013 and has made increasing the gender diversity of SEAS a priority in her time as dean. For the first time in its history, women make up 49 percent of the School of Engineering and Applied Science’s first-year class—a level of diversity achieved by few of SEAS’ peers—but that equity has lagged among SEAS’ 16 percent female faculty, hitting some departments particularly hard. Dean of the School of Engineering and Applied Science Mary Boyce became the school’s first female dean in 2013 and has made increasing the gender diversity of SEAS a priority in her time as dean. During her tenure at Columbia, the number of female students at SEAS has steadily increased. SEAS has a much higher percentage of female students than the national average, where 21.4 percent are women, according to a 2015 study by the American Society for Engineering Education. However, despite SEAS’ recent achievement of a gender balance in the first-year class, students in SEAS can find few female role models on the faculty. 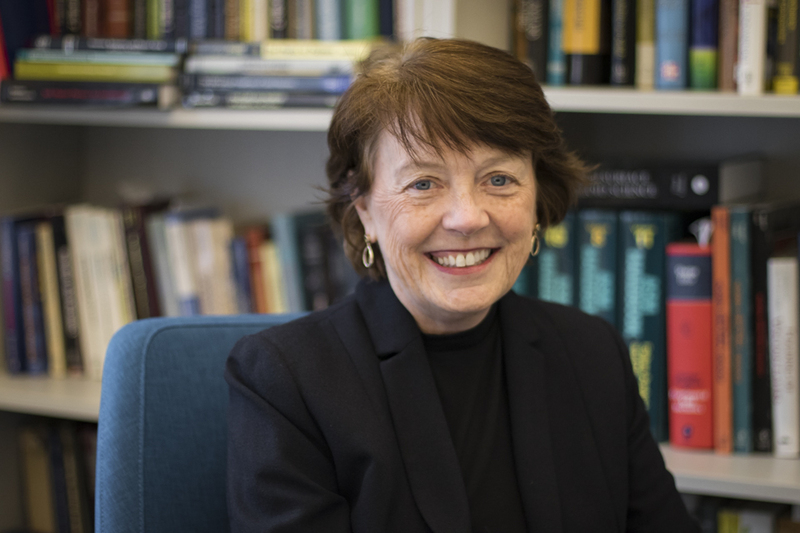 In an interview with Spectator, Boyce acknowledged that SEAS is far from achieving sufficient gender diversity on the faculty, but praised the success of previous efforts to recruit women and pledged to keep working toward diversifying engineering. Despite SEAS’ efforts to increase gender diversity in students and faculty, the school is constrained by the limited availability of women with doctorate degrees. Nationally, women make up 15.7 percent of engineering faculty, according to a study by the American Society for Engineering Education conducted in 2014. Boyce said that the number of female engineers with doctorate degrees constrained how SEAS’ efforts to diversify its faculty. The lack of role models for female engineering students makes it harder for many to foresee success in engineering. SEAS has been more successful in recruiting female students than female faculty to the school. Through targeted programs for high school students—including panels and forums held at the University—SEAS has achieved a high female enrollment that has made many female SEAS students feel more comfortable in their engineering classes. Several students interviewed said that SEAS’ well-known gender diversity was a factor in their applying to the school. Tian Low, SEAS ’21, said she appreciated the way that Columbia’s admissions programs made female engineers feel welcome. But while female students gain confidence from seeing other women as classmates, the lack of female faculty leaves them without clear role models and mentors. Yuanxia Lee, CC ’18, said a major consequence of the lack of female faculty is a dearth of female advisers for students. Lee is a computer science-math major and takes many of her classes at SEAS. Midori Sangiolo, SEAS ’21, said proportionally lower numbers of female faculty compared to female students in SEAS makes her future in engineering beyond Columbia seem more daunting. Boyce stands out as one of SEAS’ few female faculty members. Multiple faculty and students cited Boyce’s leadership as a reason for Columbia’s success in creating positive environments for women engineers. To that end, Department Chair of Computer Science Julia Hirschberg said she attempted to hire more women but, due to high competition among institutions for a small pool of candidates, she has only hired two women faculty members. “Just because Columbia is doing well in [attracting female computer science majors], it’s not going to increase the overall pool of people who are going to get Ph.D.s,” Hirschberg said. As some departments have fewer female faculty members than others, this issue is further compounded by the differences in gender breakdown among students. For example, the biomedical engineering and chemical engineering departments have had relatively equal numbers of male and female students in recent years, whereas fields such as electrical engineering are more male-dominated, with only 21 percent of degrees awarded in 2016 going to women. Biomedical engineering also has some of the highest numbers of female faculty, while electrical engineering has some of the lowest numbers. Faculty and students have different explanations for the imbalance between fields, which is not a problem unique to Columbia. Some said certain fields carry reputations that may discourage women from pursuing them. Others said fields with a more obvious connection to the broader society, such as medicine, are more favorable to women than less broadly applicable fields. Myers said there is room for improvement in the gender balance between departments and among faculty despite the gains in gender diversity among undergraduates.